Some people argue that the tradition of making new year’s resolutions is fundamentally at odds with living a yogic lifestyle. And I pretty much agree. Resolutions emerge from the feeling that there is something wrong with us that needs to be fixed. They often come from a place of guilt and dissatisfaction. And, since we’re being honest, they rarely make us change. If we were all living in the ideal state of enlightenment, there would be no need to designate this time of year for new beginnings and fresh starts, since we would greet each day with the same attitude of benign detachment. This is one resolution I can get behind. It’s to the point and solves a myriad of problems in the simplest way. 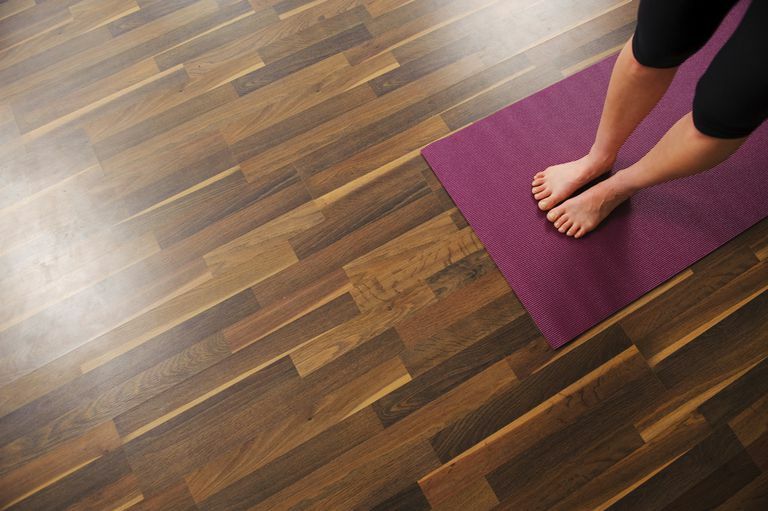 Get yourself on your mat as much as possible, even if it’s only for a short amount of time. Even if you can’t do asanas, there are many other ways to do a little yoga every day. Just the simple act of doing more yoga will make you feel better, may help you lose weight, and will improve your sense of well-being. If you're new to yoga, here's how to get started. Getting the most out of your yoga practice is all about consistency. For beginners, it's important to attend class as often as your budget allows. The best way to save money on studio classes is to buy them in bulk, which often offers a substantial discount and provides the added incentive of getting your money's worth since you've paid in advance. If you already have a gym membership, don't discount their yoga offerings before checking them out. Many great teachers work both for yoga studios and health clubs, so the classes can be comparable in quality if not in atmosphere. Student discounts and karma yoga opportunities (classes in exchange for service) are also ways to save. If your budget doesn't allow for that many classes, try a DVD at home or a subscription to an online yoga site. "This is the year I'm going to master handstand/crow/hanumasana/whatever difficult pose torments you." This is the kind of resolution that doesn’t really serve you. If you struggle with a certain pose and it feels like your nemesis, vowing to conquer and vanquish is not the answer. Rather, follow the Tao of Frozen by resolving to let it go. It really doesn’t matter whether you can do a handstand or not. Just do more yoga. As Ashtanga yoga guru Pattabhi Jois said, practice and all is coming. We practice not with a specific goal in mind but because it opens us to everything. Yoga is not results-oriented. Sometimes you get results, but if you don’t, that’s ok too. Placing a pose that is difficult for you on a pedestal and thinking that it represents something of value is the wrong approach. The first day of January is not imbued with some special magic. Always keep in mind that while the new year a conventional time to make resolutions, each new day (hour, minute) offers the same opportunity for transformation.